The agreement is aimed at deepening business partnership between two Japanese companies which was announced in 2017. Toyota Motor Corp. and Suzuki Motor Corp. have reportedly planned to manufacture electric vehicles (EVs) and compact cars to strengthen their collaboration and to compete with rapidly varying technologies in global market. The agreement is aimed at deepening business partnership between two Japanese companies which was announced in 2017. 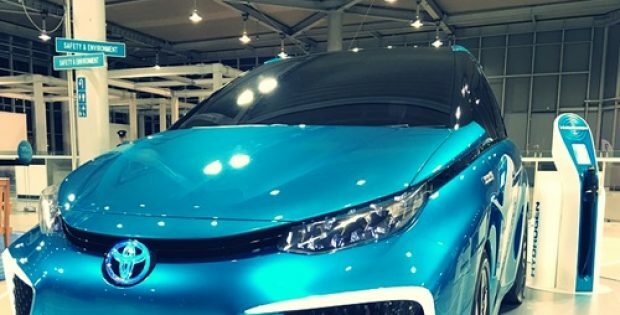 According to the agreement, Toyota would help Suzuki in developing and marketing electric cars in India and Suzuki would help Toyota to deepen its roots in fast-growing Indian market. As per latest agreement, Toyota, which pioneered hybrid vehicles with Prius more than 20 years ago, will provide gasoline hybrid systems to Suzuki. Reportedly, Suzuki’s vehicles will be manufactured using Toyota’s locally produced engines and batteries. As per Business Standard, Toyota will manufacture electric vehicles based on concept of Corolla Wagon and its RAV4 SUV crossover for Suzuki in Europe. In return for Toyota, Suzuki will manufacture two compact models in India with concept of its Ertiga and Ciaz and will help Toyota with its gasoline engines for vehicle models which will be compact, for selling in Europe. Sources familiar with the development claim that Suzuki will also manufacture models like Baleno, Vitara Brezza, Ertiga and Ciaz to sell in Africa for Toyota. Both the companies have envisaged to strive for global success after their announcement of cooperation last year. Akio Toyoda, President of Toyota, reportedly stated that they are looking forward for wider usage of hybrid technologies all over the globe. To learn each other’s work ethics and practices, engineers and executives of both the companies have met numerous times. Both are Japanese companies, so they do not have much cultural difference and their hometowns are also very close.